Wildside Jeep Customs is the creation of John Roth who learned the trade from Tim “Torque” Burke, the creator of the very first Big Foot Truck. Under Torque’s tutelage, John learned how to build monster truck motors and suspension lift trucks correctly. But John’s gear building roots run deeper, starting with snowmobile engine and carburetor rebuilds at a very early age under his father’s watchful eye. From those early days of rebuilding snowmobile engines, John worked on his friends’ ATVs, dirt bikes, scooters, golf carts, go-carts and watercraft. In addition to engine and mechanical repairs, John is an expert welder, learning by shortening and lengthening semi-truck frames. John is also certified, through AC-Delco School to test and repair wiring in any vehicle on the road. 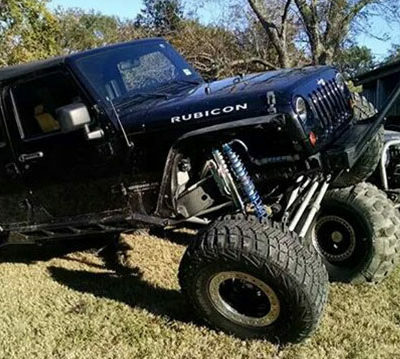 Jeeps are most definitely John’s passion. He loves to build the crazy things that no one else has done. WildSide is an apt name for a man and company that like to push off-road to the limit.